Sintra, Portugal is a small city near Lisbon. 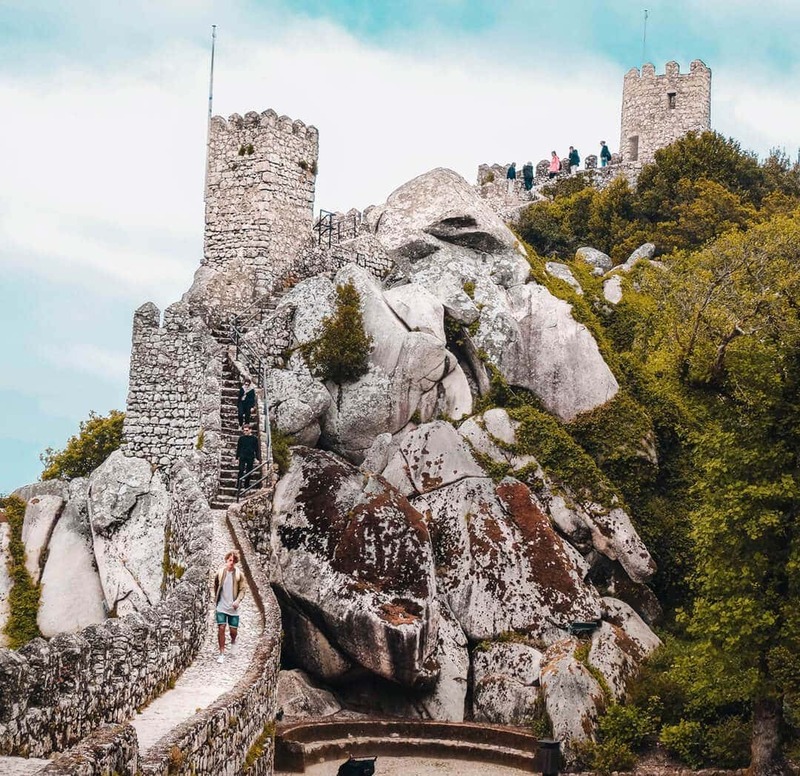 Sintra has a UNESCO World Heritage status, because of its enormous surrounding region which includes many beautiful parks, castles and beautiful buildings like Pena Palace, Castelo dos Mouros, and the Quinta da Regaleira. So, are you planning to go on a citytrip to Lisbon? Add Sintra for that magical touch! 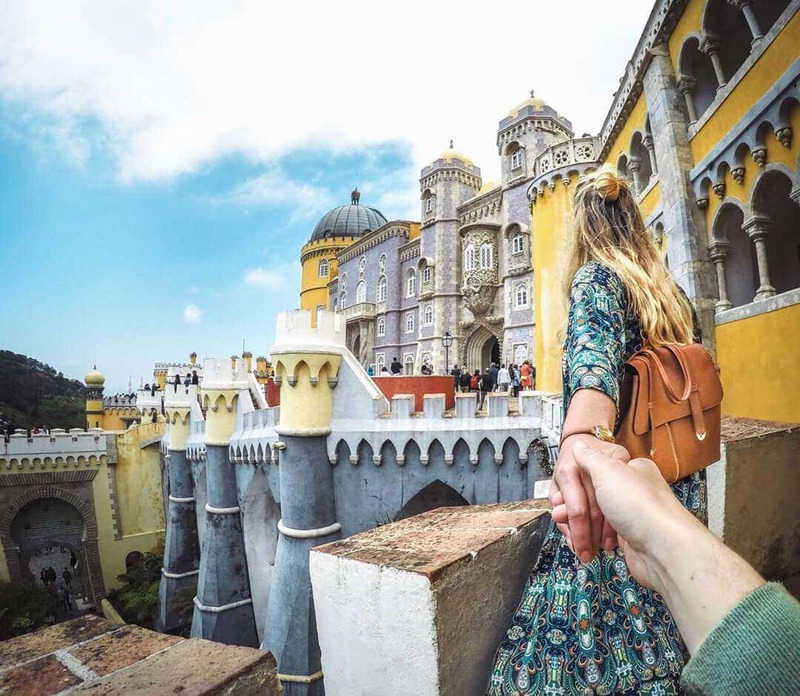 How to get to Sintra from Lisbon? Take the train from the Rossio station in Lisbon. On weekdays the train will leave every 20 minutes. On Sundays every hour. By train, it will take you around 40 minutes to get from Lisbon to Sintra. It will take you about the same time by car, follow the A37. 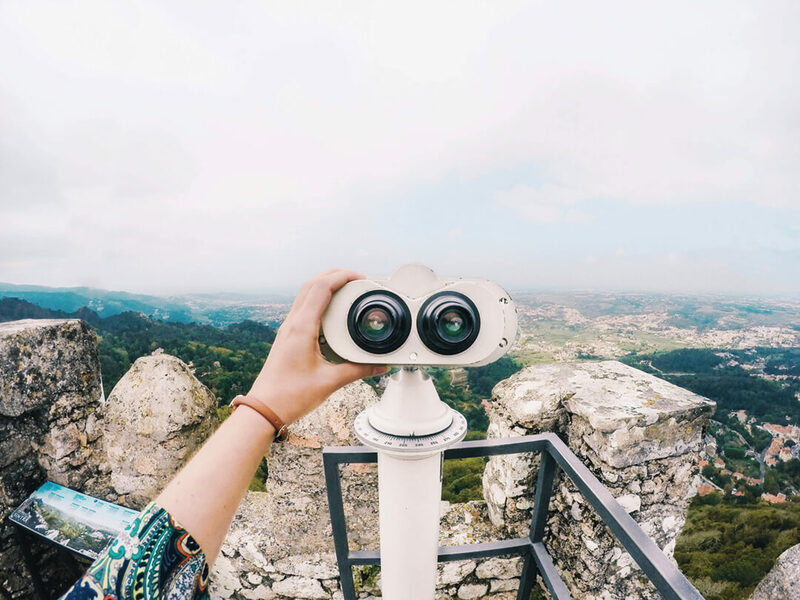 Sintra sights and prices: Our favorites! Visiting the town is fun, but out of town is the more magical part of Sintra. A trip to these parts will easily fill a full day. Some people even save 2 or 3 days to get the complete experience. Take bus 434 from town and you will be able to hop on and off at all the major sights for about $5,-. 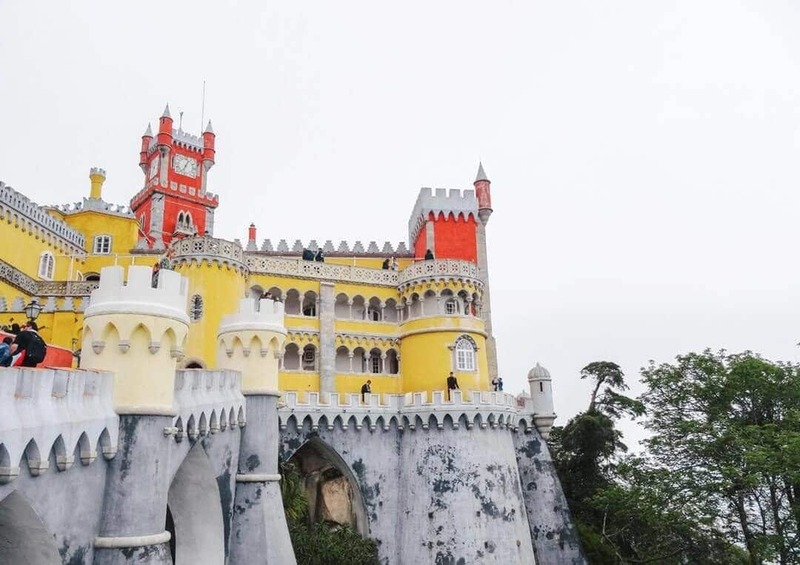 It will first take you through the town where it will pass Palácio Nacional de Sintra. 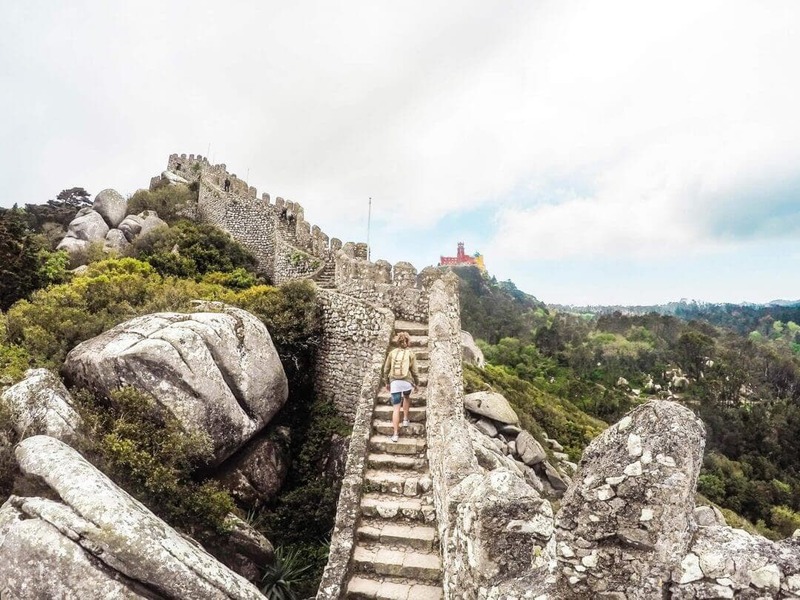 Next, it will take you uphill to the Palacio da Pena and then past all the other sights. Tip: Think about which sights you would like to see. It will be easier to buy the tickets all at once at a ticket booth or online. Because of the popularity of Sintra the buses and ticket shops can be busy. Sintra is easy to reach via the train from Lisbon. Find a flight to Lisbon from your place! Palace de Pena is like a fairytale. It’s built on the highest point in the region. The king had a creative mind and released all of his imagination on his castle and the park around it. We recommend buying a ticket for both the palace and the park. You absolutely shouldn’t miss the inside of the castle. Tickets are around $15,- each and include entry to both the castle and the park. This castle gives you that “Lord of the rings” feeling. The view from upstairs is really impressive. Be sure you won’t miss this one! A ticket to the Moorish Castle will cost you around $8,-. Sintra has a different climate than Lisbon. Sintra is always 2-5 degrees cooler than Lisbon. In summer visit Sintra in the morning or in the late afternoon, when it’s cooled down a bit. The best period to visit is in spring and early autumn. You can either stay in Sintra town or Lisbon. 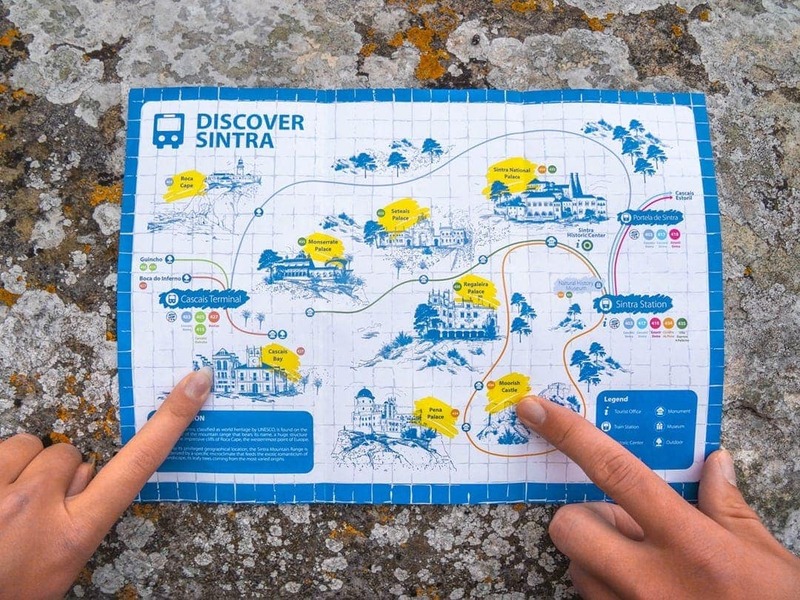 Stay in Sintra town if you’re planning to explore the region for multiple days. From Lisbon, you could easily do a day trip and enjoy Lisbon city too. Staying in Sintra can be more expensive. Book your stay in Lisbon to save some money for a drink. Nearby Rossio station and very popular with backpackers. Meet other travelers at this pretty looking hostel. Starting at only $16,- a night. 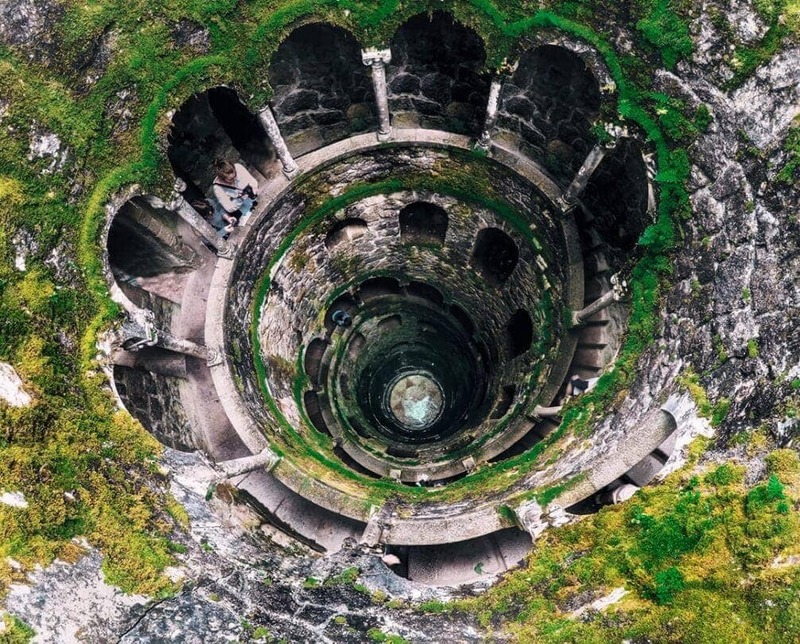 Located in the center of Sintra. Starting at $55,- a night.